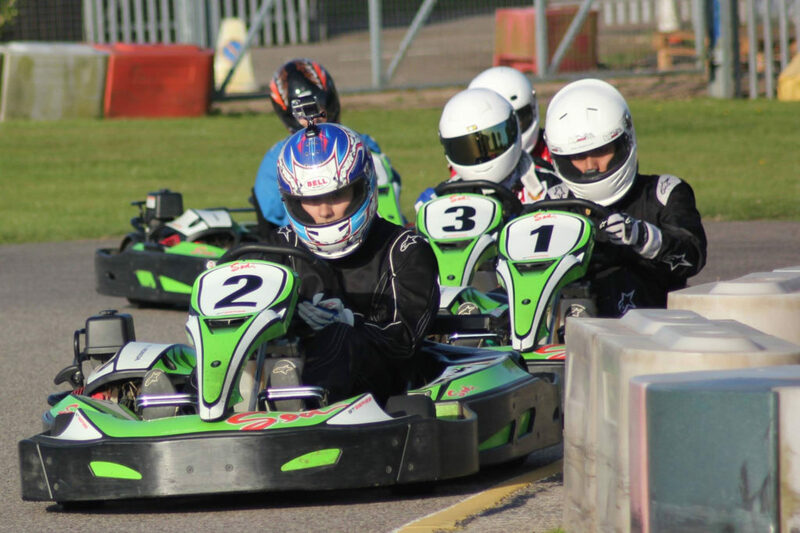 Leicester is a great place to go karting, and with Sutton Circuit only 25 mins from the Leicester City Centre and only 10 mins from M1 Junction 21, our fantastic outdoor Go Karting venue is easily within reach. At Sutton Circuit you have the freedom of racing outdoors, the openness of the circuit and the additional performance of full speed outdoor racing cars running with high-performance slick tyres on tarmac. Together, this makes kart racing at Leicestershire’s number 1 outdoor karting venue a very different prospect to indoor circuits that you may have visited in the past. We have had many fantastic groups that have made their way over to Sutton Circuit near Broughton Astley in Leicestershire over the years. One of our favourite groups has to be the students from DeMontfort University (DMU) who make their way over to us on a regular basis. And of course, don’t forget karting isn’t just racing it is also a team sport. So bring your friends, the bigger the group the more fun you will have. At Sutton Circuit we can accommodate groups of up to 12 people on the track at a time in our high powered single engine Sodi Karts, and for larger groups, we can arrange Grand Prix style races with heats and finals, or you can team up into groups for Le-Mans style endurance kart racing.